Another key to Wellington East’s win was their experience, with the whole team except from one player returning from last year’s Division 1 nationals. Four players were also in their team that won two years ago, including both year 13s Beyonce and Alyssa. 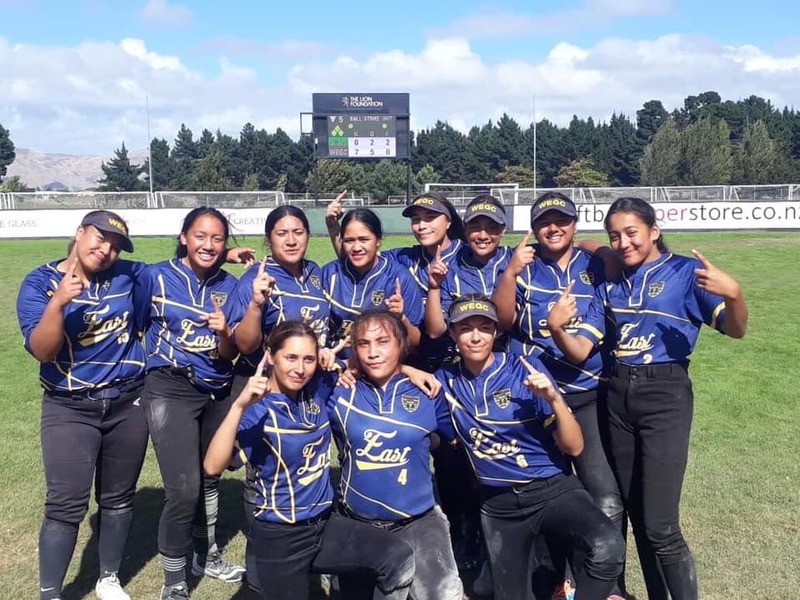 Three title wins in four days – it doesn’t get much better than that for a group of Mount Albert Grammar School softballers. MAGS joined seven other Division 1 softball schools at the start of Summer Tournament Week as five-time defending national champions. How hard would it be for them to win a sixth? They were unbeaten throughout the tournament and met Hastings Boys’ High School in the final. “Last year we played Hastings in the final as well. Last year we lost our round-robin game and one of our semi-finals against them, but we had a second life and played them in the final and beat them. Then this year we beat them three times in a row,” says Isaac. The penultimate day of the tournament on Thursday was almost rained off completely, but MAGS and Hastings managed to play their semi-final at night and MAGS came through 3-2, after beating them 4-1 in the round-robin the previous day. Hastings beat Rongotai College 2-1 in a sudden death knock-out on Friday morning and then MAGS beat Hastings 3-0 in the final that followed. As well as Hastings, other teams MAGS were wary off were Rongotai College and Marlborough Boys’ College. MAGS beat both Rongotai and Marlborough 8-1. In four of their round-robin games, the mercy rule was invoked because MAGS was so far in front. The five players from MAGS that made the tournament team were Isaac, Taine Slaughter, Ryan Earley, Brock Evans and Floyd Nola, who was also the tournament MVP. MAGS returned home to beat Auckland Grammar School 10-0 in the Auckland Championship final. In between, the Ramblers U19 and U17 sides won their Auckland club title finals. What is the secret to MAGS’ softball success? “We have been a big family mentality and brotherhood, so we know our strengths and weaknesses well and which has allowed us to believe in each other when the going gets tough,” says Isaac. 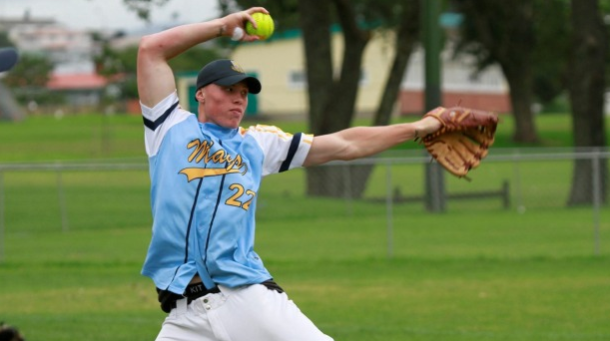 The MAGS softball legacy kicked off six years ago when they won their first title. 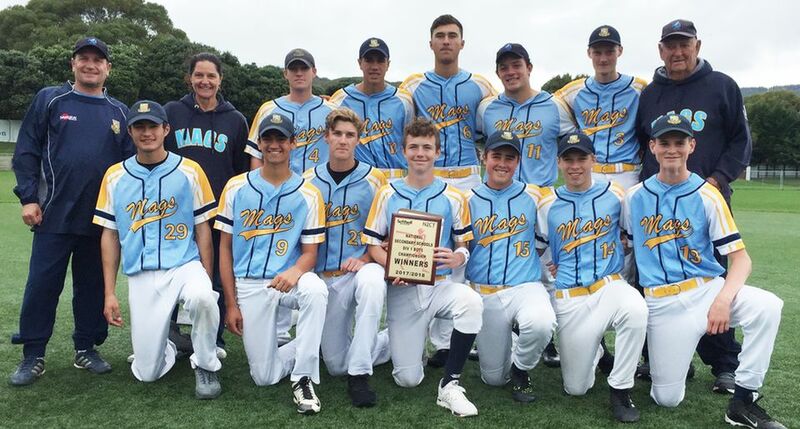 “There were a couple of players, such as current Black Sox players Cole Evans and his brother Rhys, who all played club softball together at Ramblers, and they took the school to our first national tournament win and it has continued from there,” says Isaac. In fact, the brotherly theme runs deep throughout the team. This was Isaac’s third national title and there was one player in this year’s group who has won the last four. Coach Stu Kinghorn was Coach of the Tournament at nationals and has been a major part of their success since 2013. Kinghorn is Cole, Rhys and Brock’s grandfather. He has just stepped down after winning again this year, allowing someone else to take the reins and hopefully guide the school to a seven-peat in 2019. 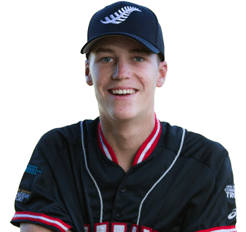 Cole and Rhys are now Black Sox players, while Floyd and Taine are in the NZ U19 team and Brock is in the NZ U17s. Many of the players will be involved in winter sport teams coming up at MAGS. MAGS head boy Isaac also plays water polo and will be returning to Wellington in a fortnight to contest the national schools water polo tournament. 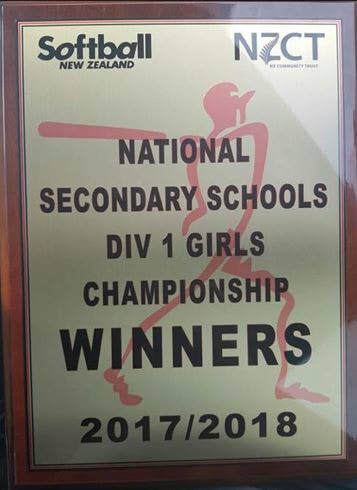 Alfriston College - National Division 1 girl's softball champions. 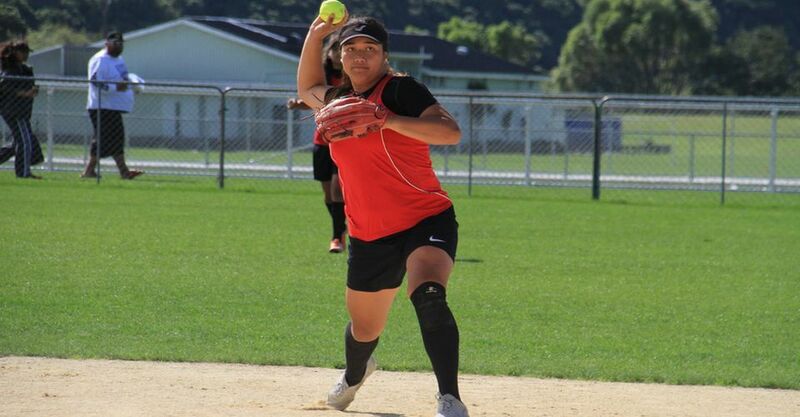 The Alfriston College girls' softball team is celebrating a winning week on the diamond that has seen them win their maiden NZSS Division 1 tournament and return home to win the Auckland Secondary Schools title. 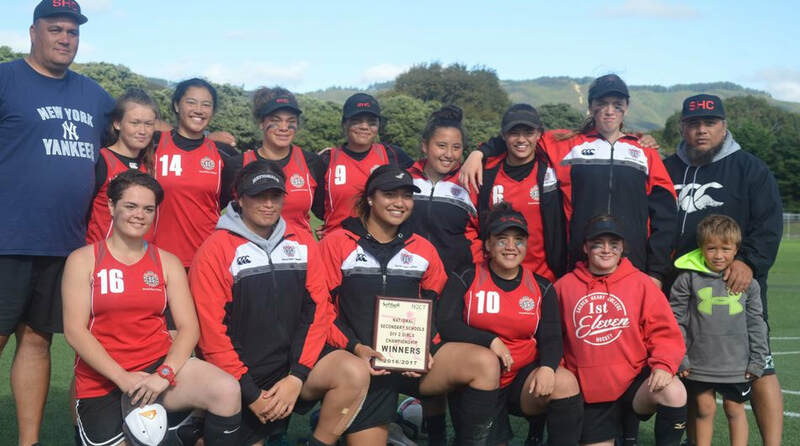 Last Friday, after a weather-disrupted penultimate day, Alfriston beat Wellington East Girls’ College 8-2 and then Sacred Heart College, Lower Hutt, 13-5 in the final to be crowned national champions. The team returned home and beat One Tree Hill College 5-1 to win the Auckland title on Wednesday night. After finishing fifth in 2015, runners-up in 2016 and fifth again last year, Alfriston College captain and Tournament MVP Jacqueline Clay said the team was thrilled with the national tournament week. “We went into the tournament knowing not to take any team lightly, and if we focused on ourselves and played well we had a chance. We ended up doing that and winning, so we are all really happy right now,” said Jacqueline. With a batting average of .565, Jacqueline was the top batter of the tournament, while teamates Taylor Chong-nee and Tessa Abraham were the top pitcher and catcher respectively. Additionally, Aylssa Bailey, Jodie McLean-Rawiri and Lily Nielson also made the tournament team with above trio at the conclusion of the five-day Division 1 tournament played at Fraser Park, Lower Hutt. Coach Ian Abraham was the Coach of the Tournament. 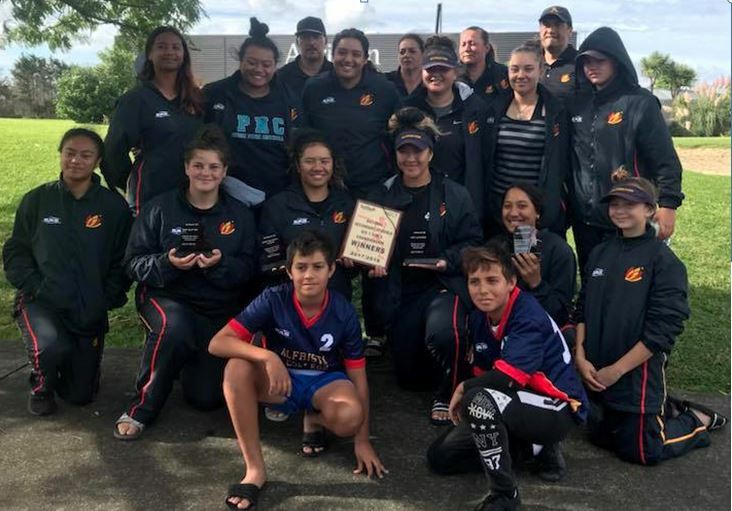 Alfriston’s full team was Tessa Abraham; Alyssa Bailey; Jade Calverley; Kayrani Cherrington; Taylor Chong-nee; Jacqueline Clay; Jodie McLean-Rawiri; Braxton Murray; Lily Neilsen; Meleane Pasi; Zahna Stil; Caroline Va’amainu’u. 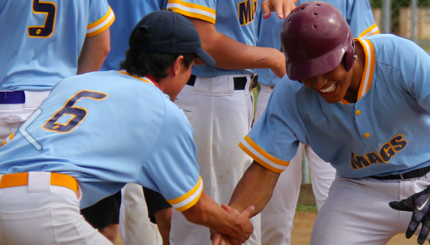 The national tournament was an eight-school event and consisted of a six-game full round-robin series,followed by playoff games and then the final. Alfriston won their first five matches, beating Massey High School (11-7), Newlands College (8-5), One Tree Hill College (8-5), Sacred Heart College (11-6) and Taita College (3-1). In their last round-robin game they lost a thriller to Wellington East Girls’ College. “We lost that 4-5 on a tiebreaker,” said Jacqueline. Despite that loss, Jacqueline said that was a highlight game for the team of the tournament. This saw them qualify for the playoff rounds in second behind WEGC. However, the weather didn’t play ball on Thursday, wind and rain all day not only causing to frustrate the sides, but meaning that these further matches would all have to be played on Friday. One of the finalists would have to play back-to-back-to-back games. Alfriston avoided this by coming out and beating WEGC 8-2, Jacqueline leading from the front in an emphatic win. Sacred Heart beat One Tree Hill 8-7 at the same time. Alfriston had a 90-minute break as Sacred Heart then pipped WEGC 4-3. In the final Alfiston repeated their round-robin win over Sacred Heart, winning 13-5. Victory was sweet for the team’s two departing year 13 players, Jacqueline and for Jodie McLean-Rawiri. This pair and Tessa Abraham were the three players that were involved in the 2015 team. The school season might be over, but Jacqueline (Emerging White Sox) and Taylor Chong-nee (Junior White Sox) are heading to British Columbia in July to play in the prestigous Canada Cup tournament. The U19 World Cup is next year in California. Alfriston’s coaches were Ian Abraham and Regan Bailey, the manager was Renee Murray and the scorer was Tracey Broughton. Abraham said that a big factor in Alfriston’s success was the team comaradrie. “They displayed unity and strength on and off the diamond, which was reflected in all their games. The team were untouchable and they never let a negative situation get the better of them," said Abraham. “A lot of focus in the lead-up was spent on game scenarios – for example hot box, second phase plays and pick-offs - which paid off because we encountered these situations and the girls were ready. As a coach you know you’ve done a good job when you see the application of what you’ve trained for executed in real-time; you can’t ask for more than that. NZSS Softball NZ Team and Div 1 MVPs!